Cori Simons slides in under Cassie Davis while Molly Rowe backs up the play. 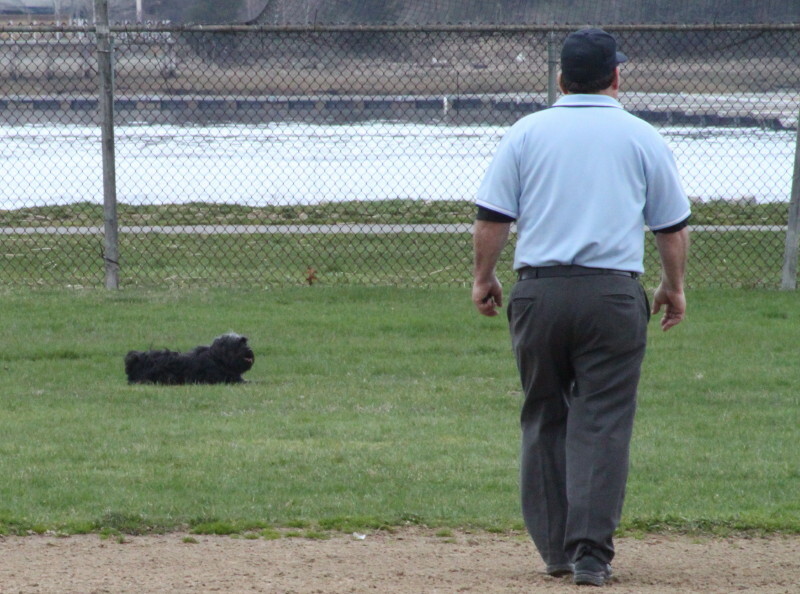 (Newburyport) I hoped to take in/write about the Newburyport/Triton softball game this afternoon but was misguided by the online edition of the Newburyport Daily News to Byfield rather than Cashman Park. 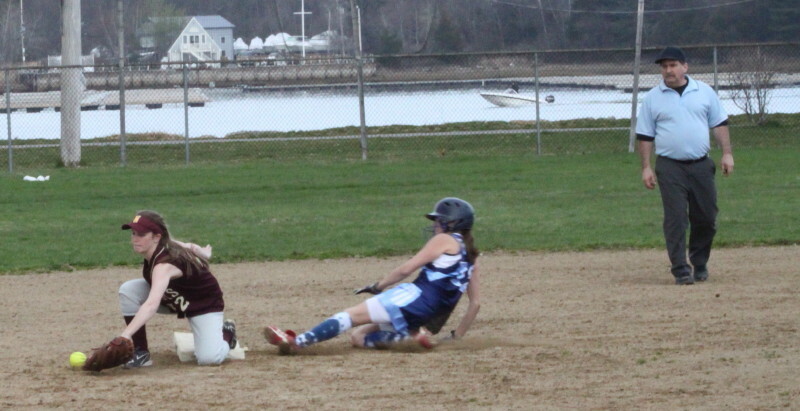 I did end up seeing almost all of the game and watched Newburyport (4-2) prevail, 2-1, in a Cape Ann League contest on Wednesday afternoon that was undecided until Beth Castantini, playing first, latched onto a last-out popup in the top of the 7th. Beth at first base was a bit of a novelty by her account. “I haven’t played there since, like, seventh grade,” I overheard her say during between-innings practice after she had taken over first. She did fine there. She handled a low throw from Maddie Stanton (3B) and later took in the final out. Before that final out, the Vikings (2-5) had runners on second and third and were in excellent position to tie or even go ahead, but it didn’t happen. 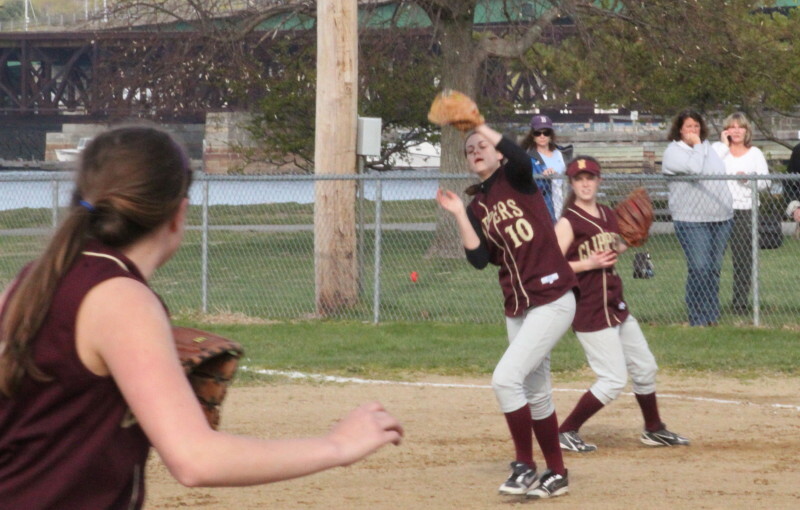 Molly Rowe (six strikeouts) was the complete-game winner for the Clippers. 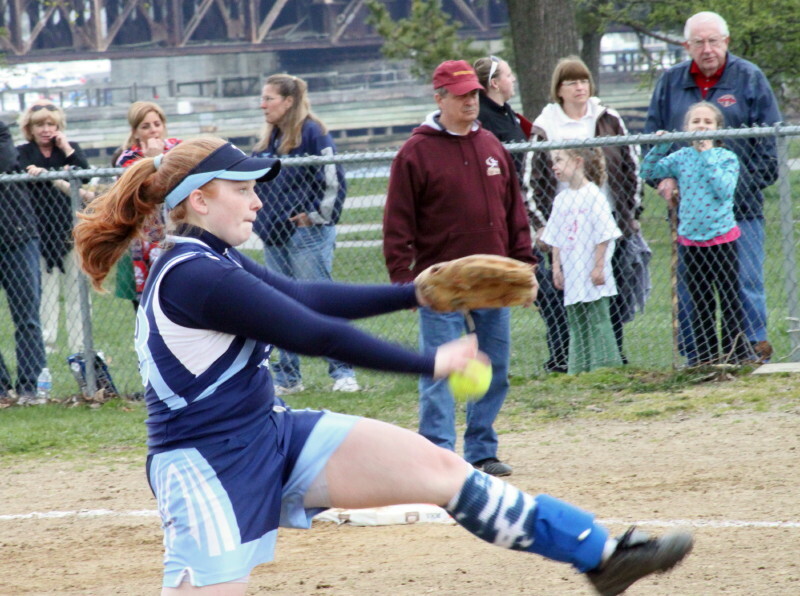 Marion Dullea (eight strikeouts) went the distance for Triton. Rachel Webster heads for third after a long triple to center. 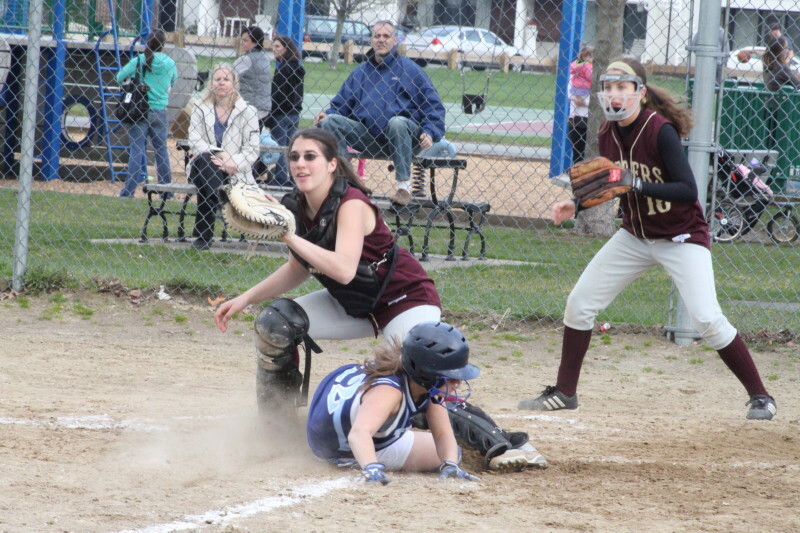 Her pinch runner (Molly Sullivan) would later score what turned out to be the winning run with Eleni Kacher getting the RBI. 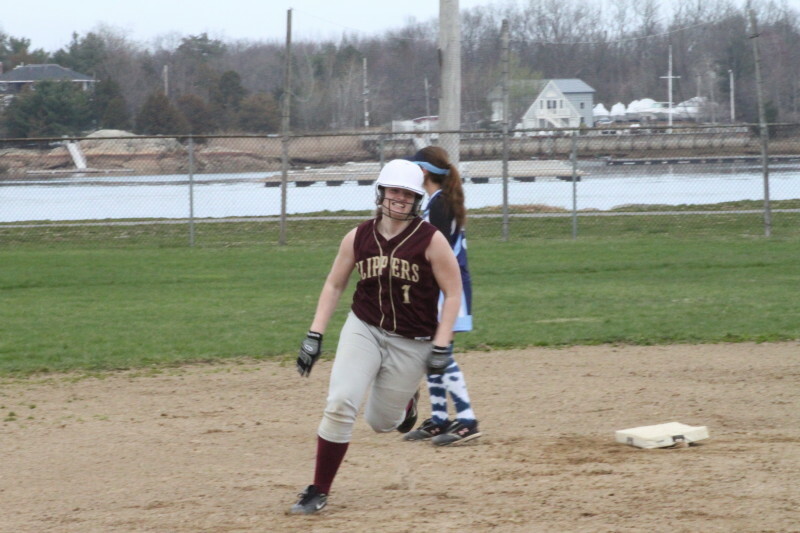 A long triple by Rachel Webster set up Newburyport’s winning run in the 4th. Cori Simons scored Triton’s only run in the 6th.